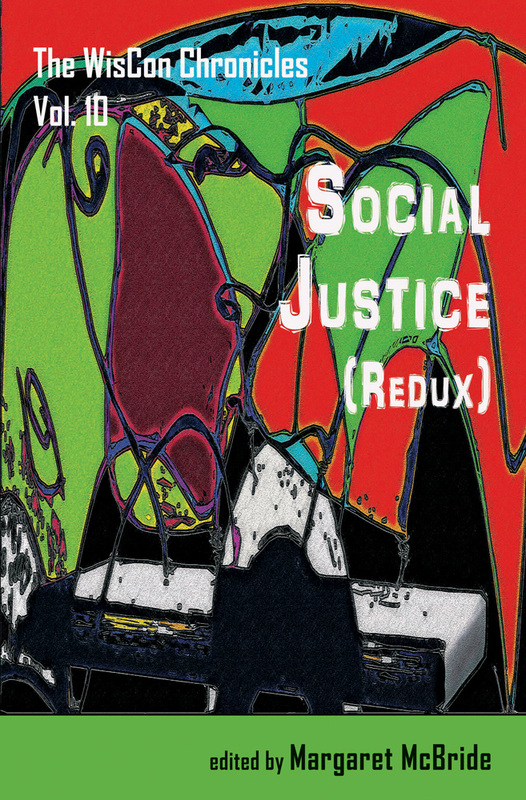 I'm pleased to announce the release from Aqueduct Press of the tenth volume of the WisCon Chronicles, Social Justice (Redux), edited by Margaret McBride, in both print and e-book editions. WisCon 39's Guest of Honor speeches by Alaya Dawn Johnson and Kim Stanley Robinson inspired the theme of this volume. In her speech, Johnson delivered a cri de coeur: "We need diverse stories, we need a million mirrors of different shapes and sizes. Not just so we can see ourselves. So that they can see us through our own eyes." Robinson exhorted: "We now need to institute global justice and equality for all, for two reasons that bond together into a single reason: It's the right thing to do morally, and it's the survival thing to do." In her introduction, McBride quotes Grace Paley: "Although writers may not want to be in charge of justice or anything like that, to some extent they are if they really are illuminating what isn't seen." The volume includes the texts of Johnson and Robinson's speeches, as well as the keynote speech Julie Phillips delivered at the Tiptree Symposium in December 2015, and essays by Cheryl Morgan, Takayuki Tatsumi, Nisi Shawl, Johanna Sinisalo, Kathryn Allan, Ian Hagemann, Sandra J. Lindow, Ajani Brown, and others. You can purchase this volume from Aqueduct now, at http://www.aqueductpress.com/books/978-1-61976-113-1.php.